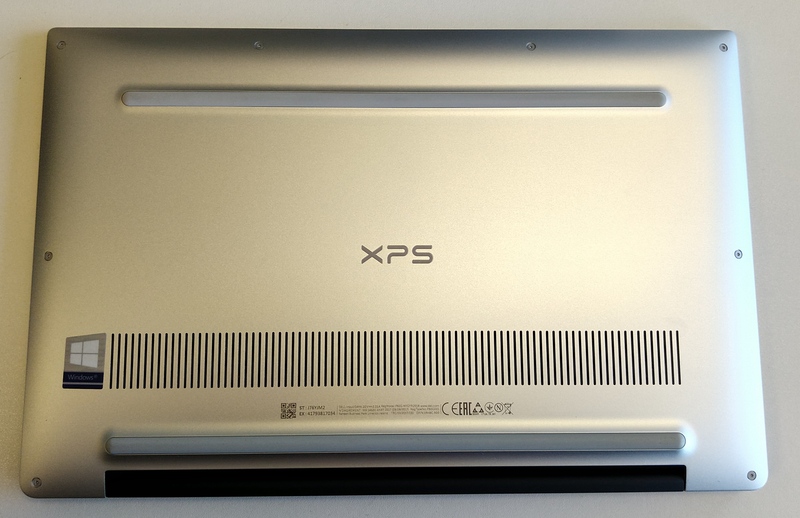 In work we buy Dell XPS 13 units for those that staff that use a laptop. Previous models have been in the 9350/9360 line, however, we’ve recently recieved two new 9370 units with 8th Gen Intel, so I thought I’d post a few comments and pictures on them, compared to previous models. The main difference on these is they now have three USB C ports, two on the left side, and one on the right. The two left ones can be used for charging. There’s also a Micro SD card port on the right, as well as a 3.5mm headphone port. This is a change as there are no USB3 ports and the charger uses a USB C instead. First noticeable difference is that there is no magnetic access flap on the bottom of the unit. The serial and identifying numbers are instead printed along the bottom by the vents. 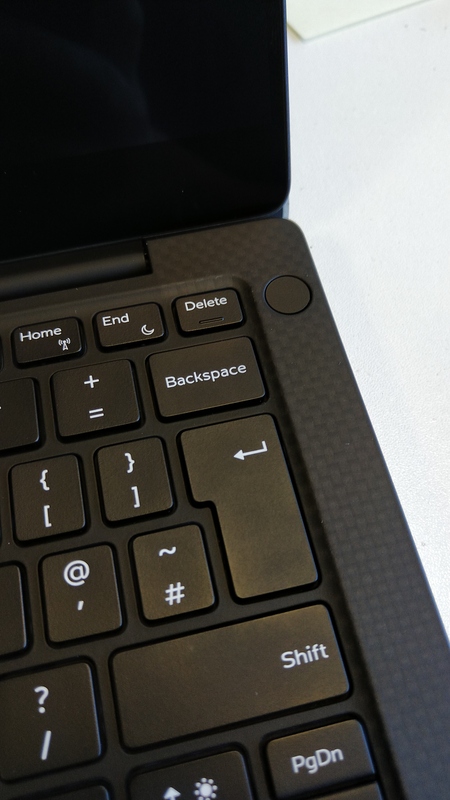 The keyboard layout is the same as before, with a full-size enter button. 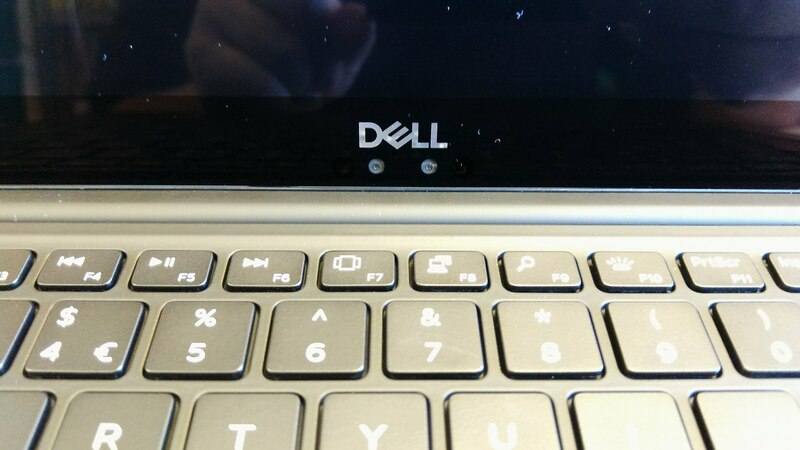 There’s no changes to this that I can see, however, the touchpad seems to be slightly larger, and the function buttons also share the F1 keys. The screen on this model is extremly glossy and shiny. We tend to buy matte screens but I don’t actually know if this is an option on the newer models. 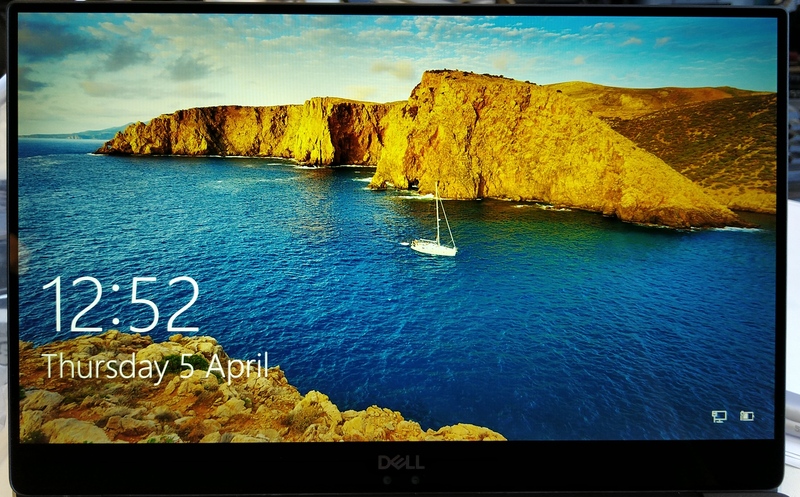 This is a non-touch screen (which is just as well, because otherwise it would be instantly covered in fingerprints. The main thing on the screen area is the webcam is now in the bottom middle of the screen, instead of the bottom left hand corner. It’s still not a flattering angle, however, for Discord or Skype conversations it should be fine. This also includes Windows Hello for facial recognition too. As mentioned there are 3 USB C ports, a 3.5mm headphone port and a Micro SD Card slot. There’s also an apple-eque battery monitor button on the left hand side. The USB charger also has a LED on to indicate power and enables you to find it better if you’re rummaging around in the dark – nice touch. USB C Charger has LED still – nice touch! One major change however is the lack of the power light on the power button. The only indication of the machine being powered on is the light on the front of the machine now. I’m not a huge fan of this, and a colleague who has an older machine with this function was a bit confused when I showed him this. The screen is nothing short of *awesome*. That’s all I can say. This picture doesn’t do it justice. It’s only a 1920×1080 resolution screen but the image quality is spectacular. Okay, let’s go with a full machine spec sheet. CPU: Intel Core i5-8250U CPU @ 1.60GHz – 4 cores, 8 threads.